She has travelled the globe directing photoshoots for Britain’s biggest magazines while styling a galaxy of A-listers. 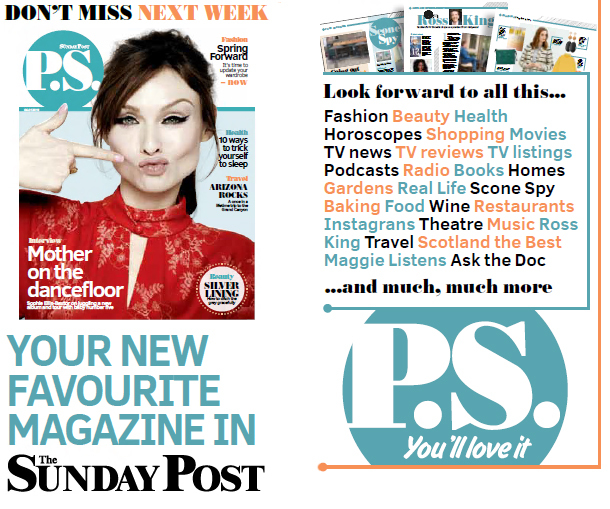 Now fashion editor Wendy Rigg is joining The Sunday Post to showcase the latest trends and share her style tips. She will be bringing her expertise to our new magazine P.S. when it launches on Sunday. Wendy said: “I’m so excited to be working on P.S. “There will be something for everyone on my pages. I’ll be showing off gorgeous and affordable fashion trends and helping readers create looks that work for their shape, size and lifestyle. “It’s a chance to showcase some fantastic Scottish brands too that readers might not have heard of before. 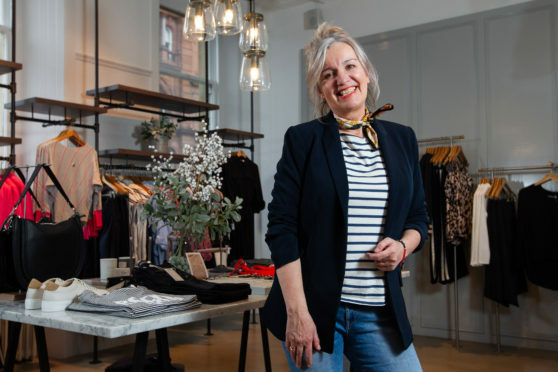 Readers can write to me with their own style questions and I’ll be trawling the High Street and online for outfits that will make them look and feel fantastic. 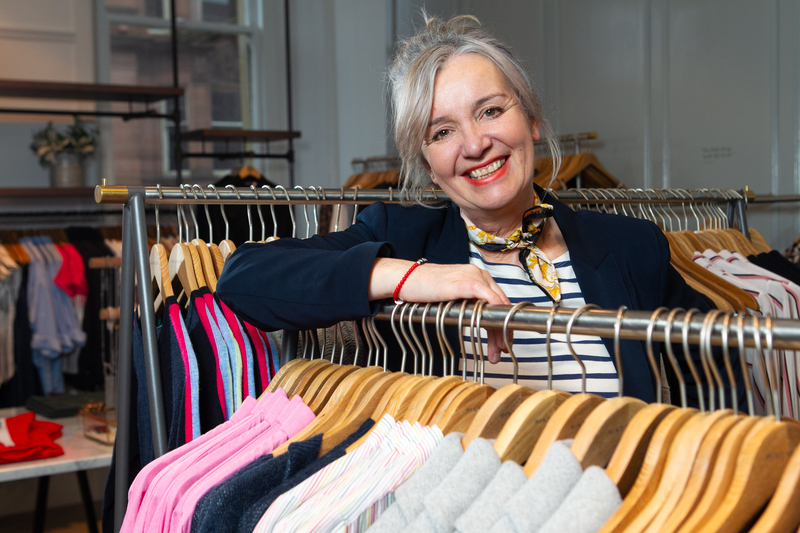 When Fife-born Wendy started her career at DC Thomson’s iconic teen magazine Jackie in 1975 she was already a dedicated follower of fashion, with her own unique look. Wendy says: “I have very fond memories of my early days at Jackie magazine in Dundee. “I loved wearing ‘way out’ clothes – usually made, knitted or customised by me. Victorian petticoats, dungarees, brightly coloured Peruvian knitwear, stripy socks with toes, ponchos made from rugs, elbow-length fingerless gloves that I knitted. “And topping it off was a mass of dark, curly hair that I’d teased into an Afro. Selling up to 600,000 copies every week, Jackie was a bible for any girl who was passionate about fashion, make-up and boys. Landing a job there was a dream come true for Wendy and she soon found herself not only writing for the title, but modelling on its pages as well. “I was pulled into everything, even modelling for the cover, either in my own clothes or knits made to patterns,” she laughs. “I showed these covers to my granddaughter recently. “‘No.’ I replied, ‘it was about every girl in the land’. “I had my own fashion and beauty page, where I would write about remodelling and revamping old clothes, things like how to embroider your espadrilles, or make a skirt from your jeans. The experience led Wendy to move on and study fashion and knitwear design at college. Her very first collection as a student featured in Tatler magazine – and was bought by high-end fashion boutique Joseph. Subsequent collections were sold in Harvey Nichols, Macy’s in New York and Cruise, Glasgow. Queen of Pop Madonna even wore one of the tops Wendy designed for fashion label Fiorucci. As well as creating clothes, Wendy has written about style for many years. She’s worked for some of the biggest magazines in the business including Good Housekeeping, Woman & Home and Prima. Wendy’s eye for style has seen her travel the globe, coordinating shoots as far as America, Sydney, Bali and Capetown. And she has worked with an extensive list of celebrities from Kylie Minogue and Pamela Anderson to Zoe Ball and Tess Daly. Wendy, now 60, says she has developed her own style that has evolved throughout her life. “I like to mix classic basics with unique prints, and stripes to add interest,” she said. “When I was younger I wore a lot of black, but as you get older your skin tone changes, and it will drain you of all colour. “So now I prefer navy and bold shades. I love coats – as you can throw them over anything and instantly look smart. I have a camel coat, but also have an electric blue coat, a yellow one, leopard print and pink too! “And I’m a fan of the scarf – either tied on a bag or worn round the neck, to liven up a plain outfit. Wendy believes age is no barrier to fashion – and that older women can flourish in the right clothes. “These days, there are no rules,” she said. “We see women that are older looking fantastic. “It’s a time when you can really come into your own style-wise. “You make mistakes when you’re younger and look back and think, ‘What was I thinking? “When you get older, you know your strong points and how to make the most of what’s good and minimise what isn’t so much. “Fashion can really work with you and work for you – and make you feel great about yourself.